In 1959 Cuba, Natalia San Mart n was nothing short of a princess: sheltered, pampered, and courted by her very own prince, a childhood friend turned lifelong love. All that changed on the fateful New Year's Eve when Fidel Castro and his followers seized control of the country, with tragic consequences for not only the island, but Natalia herself. Five years later, in 1960s New York, she's known as Natalie Martin--living a life that's bleak, but thankfully anonymous. However, when the enigmatic Jack Roemer offers her a job writing the memoir of a starlet on the brink of self-destruction, she sees not only opportunity, but unexpected echoes of a fairytale long forgotten. As she knows all too well, however, the prettiest fa ade can hide the ugliest of truths-- and peeling back the layers of someone else's past forces Natalie to confront her own. 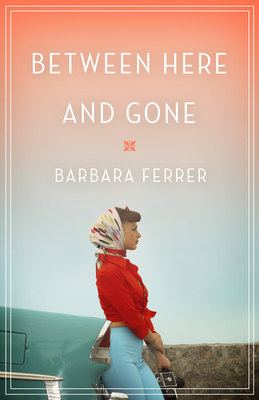 "Ferrer has created a story that's breathtaking in its scope, and a heroine whose strength will leave readers in awe." -Publishers Weekly Starred Review. Barbara Ferrer always knew she was meant for the arts-she simply thought it might be onstage, belting out smoky torch songs with a side of teaching little darlings do-re-mi. Her subconscious clearly knew better, urging her to keep journals and weave stories. Several novels and a RITA(R) award later, her subconscious delights in taunting her with the occasional, "Nyah, nyah, told ya!" A native Floridian, Ferrer now makes her home in the Pacific Northwest, thriving amidst the mountains, sea air, and cool, rainy weather.